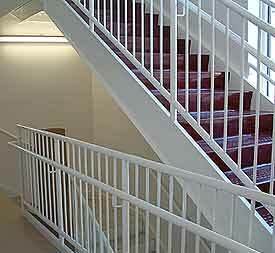 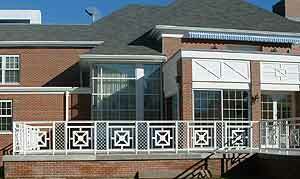 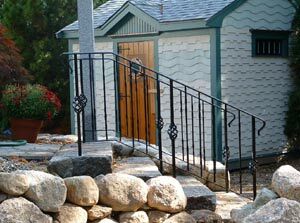 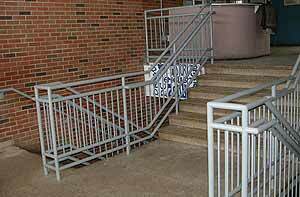 A stylized geometric railing we created, both on the ground and as an accent on a terrace. 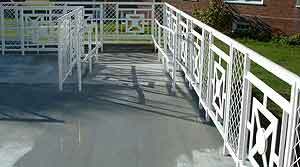 This is one of our restoration projects. 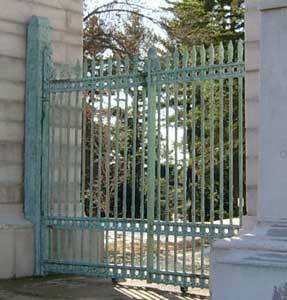 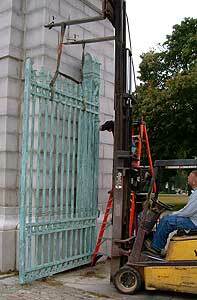 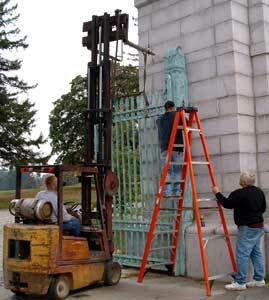 Part of an antique cemetery gate had been seriously damaged. 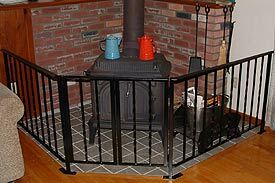 We were able to reproduce the pattern and design from the intact portion, finish the metal to the same patina as the original piece and reinstall the new portion as if nothing had ever happened. 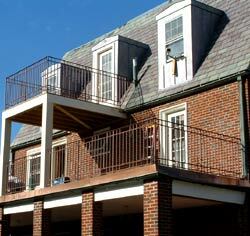 Feel free to browse our website to view a small sampling of our work. 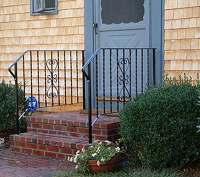 If you have any questions about what we can do for you please call (508)732-0190 or email us.